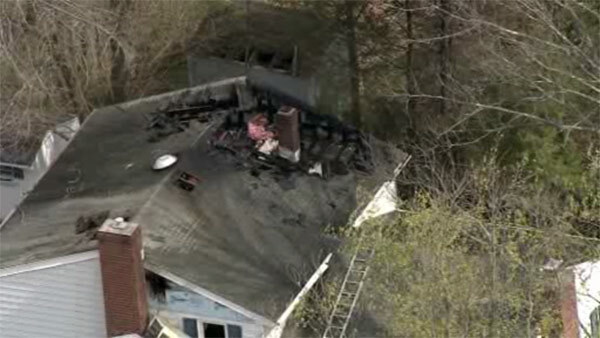 EAST NORRITON, Pa. (WPVI) -- Firefighters are on the scene of two-alarm house fire in East Norriton, Pennsylvania. The blaze started shortly after 10 a.m. Friday on Sunset and Woodland Avenue. Crews arrived to heavy smoke showing in the house. Flames also could be seen from the second floor windows. There are reports that the roof has collapsed. So far, no reports of any injuries. Stay with Action News and 6abc.com as more information becomes available.